Airsoft Systems is a young and fast growing company founded in 2008 in Bulgaria. 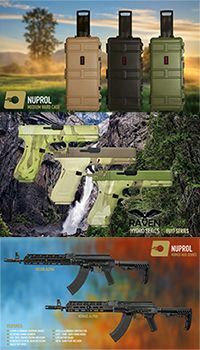 The company was born from the mutual passion to airsoft of a computer engineer and a real steal gun designer. upgrades up to complete AEG, setting up the benchmark of the new generation of European made airsof guns. Now Airsoft Systems has a strong R&D department, which is part of the Dynamic Arms R&D team. tools and molds design and manufacturing. The Airsoft Systems team is completely made of airsoft players and we do play airsoft as often as we can.